Hey all... my wife has started a side hustle making wooden toys for open ended play. She is doing a giveaway of this AWESOME Planet Set. 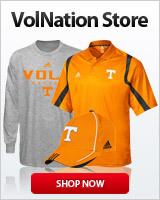 I’m asking Volnation to throw their collective weight into helping spread word. So if you or anyone you know would be interested in winning this set for your kids, grand kids, niece/nephew, classroom, Sunday school, just for decoration, or anything I’m not thinking of, please share. GIVEAWAY: Enter to Win a FREE Space Peg Doll Set! You will be given a special URL to share which can earn 30 extra entries for every person that enters from your lucky link. There is also an easy 45 extra entries for follows on social media. Mods, if this is against the rules I apologize. She forgot Pluto. This is an incomplete set. Actually she plans to do a companion dwarf planet set soon. Pluto is a planet, microplanet perhaps but still a PLANET. Take it up with Neil DeGrasse Tyson. Still time to enter the contest for any that are interested. I’m trying to convince her to do TN set.